There is one thing sure about Apple is that it never went off the news radar, but not always the reason is its new product or apps. The company got tangled in an unexpected dispute with an app development firm over its recent policy update. The root of the dispute is the updated guideline and policy in the App Store done by the iPhone maker in July. According to the new rule “apps created from a commercialized template or app generation service” are banned from the App Store. ChowNow is an app development company which built apps using the templates for the small businesses, who don't have enough resources to fund a proper app for their services. The company raised its voice against the Apple's new amendment and expecting the change. According to Apple, the move is to put a curb on spamming and keep malicious apps outside the App store. However, for ChowNow the new policy is a big concern as it will affect the company’s customer and small business across the US. Banning the template apps from the App store will make the ChowNow lose its all customers depending on the apps created by the company. In order to gather some support against the most valuable company in the world, ChowNow hired a group of lobbyist. The hired lobbyist successfully took the company’s issue to the Capitol Hill and also gathers the attention of few congress Senators. Among those few, Ted Lieu, California Representative accepted the request and wrote a letter to the tech giant asking to reconsider the change. “It is my understanding that many small businesses, research organizations and religious institutions rely on template apps when they do not possess the resources to develop apps in-house,” Lieu wrote in the letter. Lieu shared his combined concern for the small business across the country that would be affected by the company’s new policy and asked Apple to look for any possible changes. The app development company has the database of over 9,000 local restaurants using the app created by ChowNow. The template- apps provided by the app development firm help these restaurants to catch order via UberEat, GrubHub, and other food delivering services. Moreover, ChowNow believes that the updated policy term will not only affect the restaurants but also many small businesses using the commercialized apps. 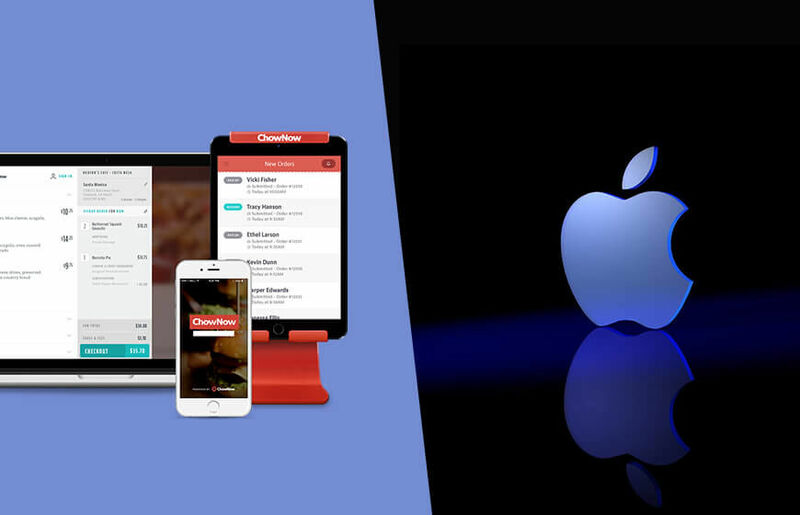 ChowNow recently raised the $20 million in a series B funding and seeking a big exposure in the market. For, now ChowNow believes that the new policy would not affect the apps that have already available in the App Store, however, the store will not accept the new apps from Jan 1, 2018. This is not the first time that Apple is being pressurized using a political support, in 2006 Spotify also did the same but the attempt was unsuccessful. It will be quite interesting that how Apple will respond to ChowNow, as this is nothing new for the tech giant. Recently Apple was also accused by the FBI for Texas Shooting case.